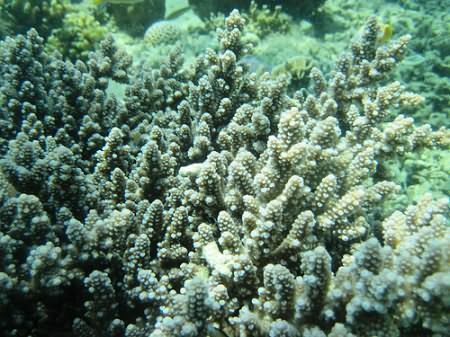 Samalona Islands is a circular-shaped cluster of coral islands with an area of about 2.34 acres. This small island is one of the many marine tourist destination visited by local and foreign visitors. The combination of white sandy beach and crystal clear water make this island a perfect place for sunbathing. In addition, the island is a very good area for diving, since the surrounding reefs are the home to diverse marine colorful tropical fishes and other marine biota. The best time to visit the Samalona Island is from February to October. The island saves a million mysteries about the sinking of a ship-relics from the World War II. There are about 7 pieces of sunken ships in the area of ? ?the island, among them: the Maru ship, a Japan’s warship which sank at a depth of about 30 meters; Lancaster Bomber, which also sank at a depth of about 30 meters; Japan’s submarine hunter (gunboat); Hakko Maru cargo ship made in Netherlands, and also a submarine owned by Japanese troops. Those sunken ships have been transformed into reefs and became a “home” or “residence” for hundreds of diverse marine lifes, with very impressive type and color. This beauty is the major attraction for the tourists to come and swim and dive among the shipwreck. Beside the mystery and beauty of the sea garden, the tourists can also watch the stunning sunrise and sunset at the same position. They can also enjoy delicious variety of fresh seafood cooked in a way that is quite unique: placed on top of a coconut shell and then covered with leaves that grow around the island. That way, the scent of coconut shell charcoal smoke immediately smelled and guarantee to arouse your appetite. Samalona island belonging to the territory of Makassar, precisely in the District of Ujung Pandang, Makassar, South Sulawesi, Indonesia. To reach this island, visitor could use a fishing boat (boat with outboard engine) which requires a travel time of no more than 0.5 hours. On this island stands a lighthouse that is used as a sign of land boundary for big ships. Samalona islands can be seen clearly from Fort Rotterdam in the area of Keling – Makassar. Samalona island is about 6.8 km from Makassar, the capital of South Sulawesi and can be reached in about 20-30 minutes by speed boat with a capacity of maximum 12 people at a cost ranging from IDR 250,000 (USD 25) to IDR 350,000 commute. There are simple but decent lodging which can accommodate about 20 people at a rate of between IDR 150,000 to 250,000/house/night. In addition, several food stalls are also available that provides a variety of fresh seafood, with prices ranging between IDR 15,000 to IDR 20,000/ portion.